Next Wednesday Bad Plus drummer Dave King brings his superb quintet the Dave King Trucking Company to town for a show at Constellation. The lineup includes the mercurial New York reedist Chris Speed, a dazzling player of exquisite restraint, intelligence, and range. Speed originally made his name as a member of Human Feel, a Seattle quartet that also introduced the world to fellow reedist Andrew D'Angelo, drummer Jim Black, and guitarist Kurt Rosenwinkel, and that reunited band will make its long overdue Chicago debut at the same venue on July 2. 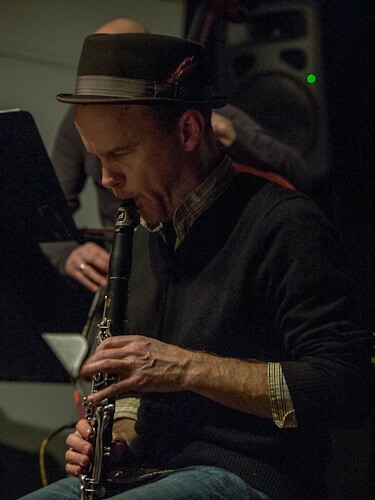 In the years since Human Feel started, Speed has been an integral part of numerous outfits, many of them complex in their contrapuntal attack—including Tim Berne's Bloodcount and Speed's own Yeah No. Earlier this spring Speed displayed a different shade of his music personality on the debut album by a trio featuring King and bassist Chris Tordini, Really OK (released on the reedist's terrific label, Skirl). Compared with much of the infectiously and rigorously knotty music Speed has made over the years, most of the trio's material is delightfully direct, buoyant, and swinging, clearly signaling his respect for the sort of classic sax trios led by greats like Sonny Rollins and Joe Henderson. The album includes a gorgeous, elliptic take on the standard "All of Me," a reading suffused with breathy tenderness, and the group also tackles Ornette Coleman's "Round Trip" and John Coltrane's "26-2," but the other seven pieces are sturdy originals by Speed. There are a few tracks that reflect Speed's expected modus operandi, like the tightly coiled "Nimble Demons," where Tordini's fat, woody lines function as a seriously blunt force, but most of these pieces revel in a propulsive elegance. In fact, the trio doesn't tap into any given tradition baldly, other than improvising freely and injecting lots of personality into the changes and melodies composed by Speed. The reedist sounds very much like himself—plush tone, patient phrasing, and a deceptively gentle sensibility—and while King frequently holds back from the rock-inspired fury that often turns up in his playing, it's not like he's trying to be Papa Jo. Instead, we get three of today's strongest players seamlessly connecting their abiding love and respect for jazz tradition with an inherent interest in pushing the music forward. It's one of the best jazz records I've heard this year. Below you can check out Speed's piece "Delaware.